Bruxism|Grinding|Clenching | Allen, TX | David Toney, D.D.S. 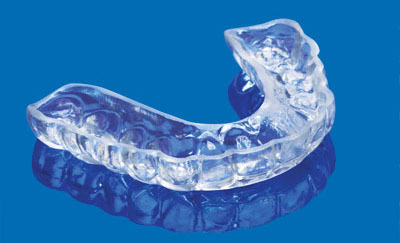 Occlusal/Night Guards – An acrylic mouthguard can be designed from tooth impressions to minimize the abrasive action of tooth surfaces during normal sleep. Mouthguards should be worn on a long-term basis to help to stabilize the occlusion as well as prevent damage to teeth and to the temporomandibular joint.